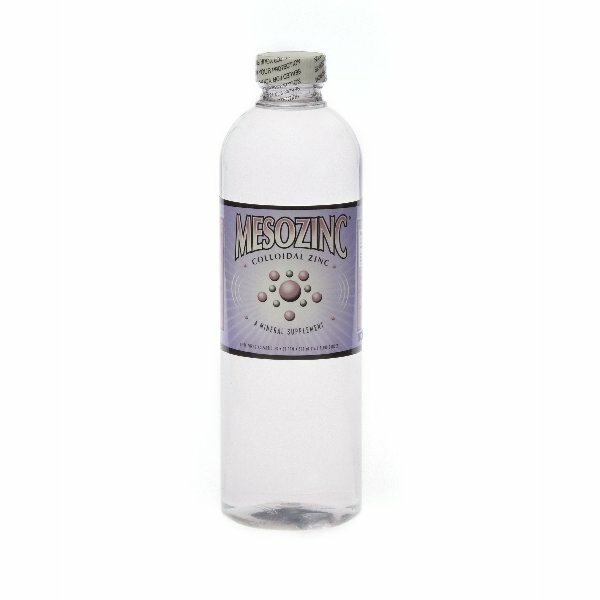 MesoZinc is a true colloidal zinc mineral supplement and has the highest particle surface area for maximum effectiveness. 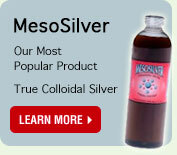 MesoZinc is an all natural mineral supplement in the form of a zinc colloid. MesoZinc is a true colloid and consists of nanometer size metallic particles of zinc and pure water. Purest Colloids, Inc. is the exclusive worldwide producer of MesoZinc. Zinc is an antioxidant nutrient which aids in protein synthesis and wound healing. It is vital for the development of the reproductive organs. Zinc supports healthy prostate functions and male hormone activity. It governs the contractility of muscles which is important for blood stability. Zinc maintains the body's alkaline balance and helps in normal tissue function and aids in the digestion and metabolism of phosphorus. Zinc is a mineral that is essential to the synthesis of DNA and RNA, of proteins, insulin and sperm. The body needs zinc to metabolize carbohydrates, protein, fat and alcohol and to dispose of carbon dioxide and make good use of vitamin A. More than seventy different enzymes require zinc to perform their function. More on the importance of zinc here. All natural mineral supplement in the form of colloidal zinc. Contains only pure pharmaceutical grade water and .999 pure zinc particles. A true colloid, not ionic zinc. Concentration: 30 ppm (minimum) of zinc nanoparticles. MesoZinc is manufactured in an FDA registered facility, contains only pure water and pure zinc and is non-toxic. See Material Safety Data Sheet (MSDS). Colloids made from non-noble metals such as zinc have a limited shelf life, typically 4 to 6 months, once the bottle is opened. Air, which includes oxygen, enters the bottle when it is opened. The oxygen will cause the metal nanoparticles to slowly oxidize converting them into their ionic state. For this reason, it is best to purchase a bottle size that you would expect to consume in 4 months or less. The dosage for MesoZinc is typically one teaspoon (5mL) daily to help maintain health. One to four tablespoons per day may be taken to help fortify the immune system when needed. Actual dosage will vary based on individual needs. A 500 mL bottle will provide one month's supply when used at a dosage of one tablespoon per day. Mesozinc is clear colored liquid with slightly noticeable turbidity (cloudiness).